Good news for Inon fans. Inon has just published what, many underwater photographers have been waiting for for a long time. The follow-up on the popular Z- 240. Protective shade to avoid flair light. Larger buttons - easier handling. The name of the new device is "Z-330 Ultra Wide Strobe" and may at first glance look similar to the former Z-240 model. But when looking at it with fresh eyes the new details will start to reveal themselves. PRE-ORDERS are now taken. Inon is shipping as soon as units are produced. Free Z-joint ball head to all pre-orders. Stock status: Assembled on order and shipped. 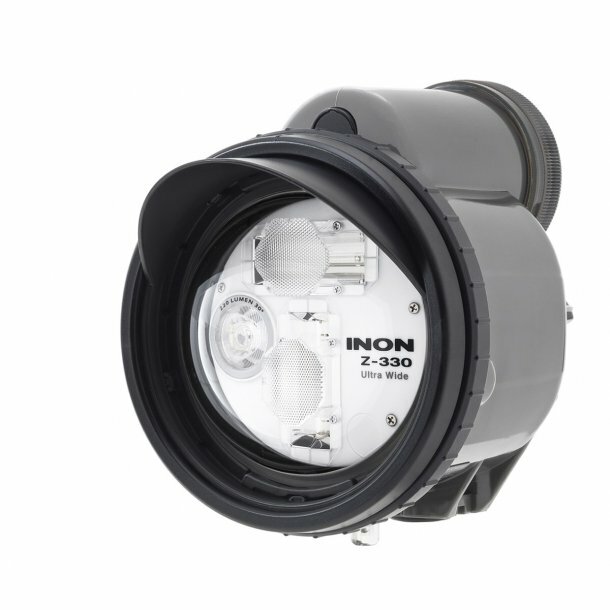 It was important for Inon to come up with a brand new flash and signal innovation - and not just as an upgrade like Z-240 Type5. It seems like it's the same flash with a new name and better guide number. But that alone would also be a very very interesting upgrade. And if Inon has introduced updated security features against overheating in multi-exposure, they have long reached their goal.